I've recently stop by Bonifacio Global city and with the hot weather going, looked for a place to cool off and recharge. 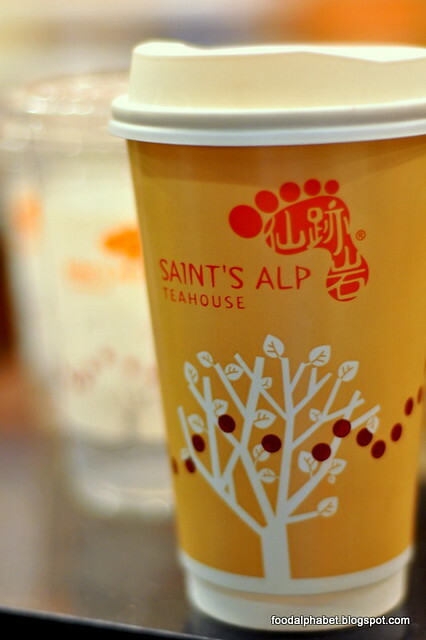 Incidentally, I happen to notice a sign saying Saint Alp's Teahouse while I was driving along, so my curiosity has once again preceded me to take a look-see on what Saint's Alp has to offer. Feeling a bit sick due to the hot weather, I opted to try something new and hot. I ordered the Lychee Nectar with Nata de Coco (P120 - regular), it came in a big tea pot which was good for at least 3 cups, hot and soothing to my throat, which gave quite a relief, with a lot of nata to calm my senses with its sweetness. Glad the endorphins are working. 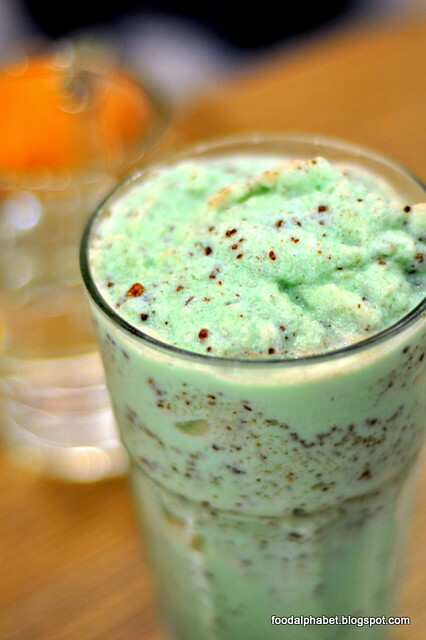 Wifey, was feeling the weather and ordered the Peppermint cooler (P130), iced, shaked and crushed with tidbits of chocolate mint, just the way she likes it. Every sip melts right at your tongue releasing that sweet minty chocolate taste, a treat you should not miss. Other than serving great tasting drinks, they also offer great tasting treats to match. 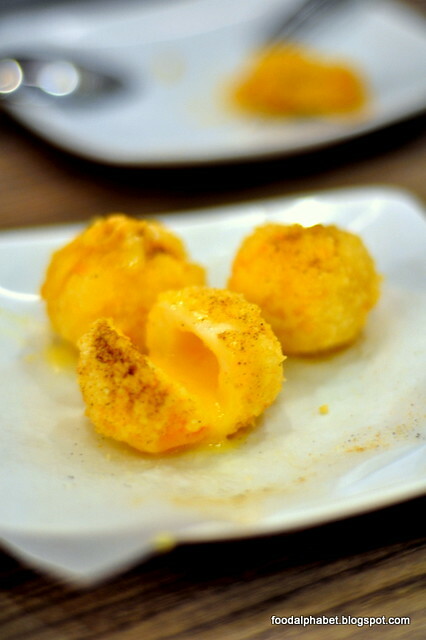 On the left is Cheesy tempura balls P90.00 for 4 pcs. these are to die for, just sliced one up and the cheese just oozes out, thinking about it makes me crave for more. 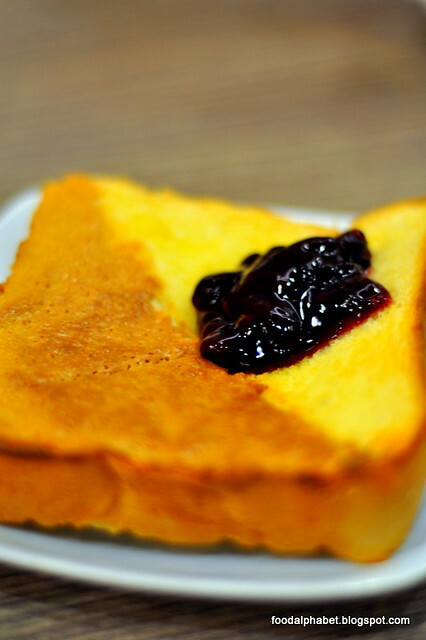 They also have choices of toasts from Matcha, Blueberry Jam, Peanut butter, Condensed Milk and Half and Half, 2 flavors in one toast, which is pictured on the right, for only P90.00. Bite on crispy goodness with every toast! 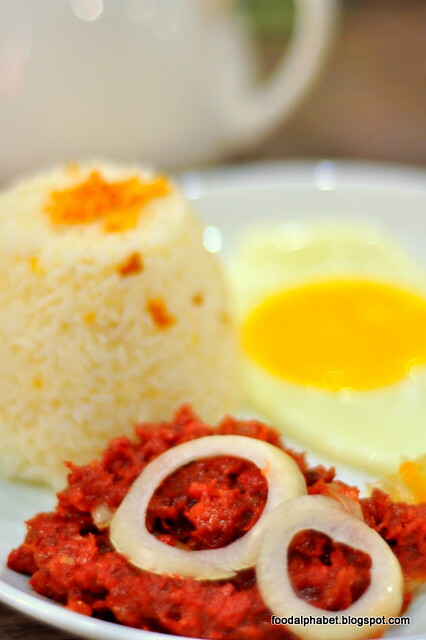 But this dish came to me as a surprise, guess what they also serve breakfast meals available all day, from Beef Tapa, Pork Tocino, Daing na Bangus, Longganisa and Corned Beef (pictured above) all coupled with garlic rice and egg, ranging from P185 - P195. 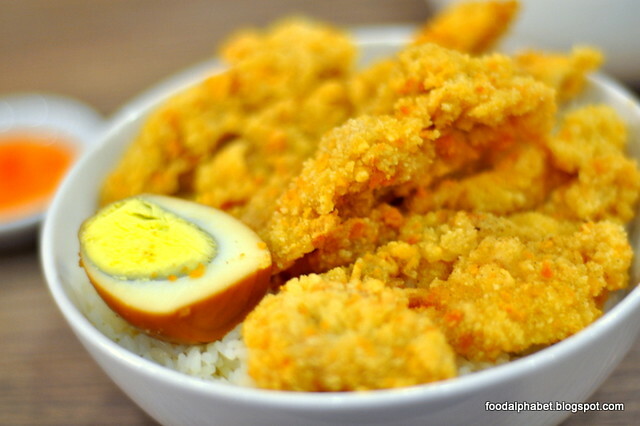 Though Saint's Alp Teahouse is of Hong Kong origin serving Taiwanese treats, it also embraces the Filipino culture and serves Filipino breakfast treats to us consumers, now that's what I call fusion. Thank you Saint's Alp in giving Filipinos what is truly Filipino with your breakfast treats. 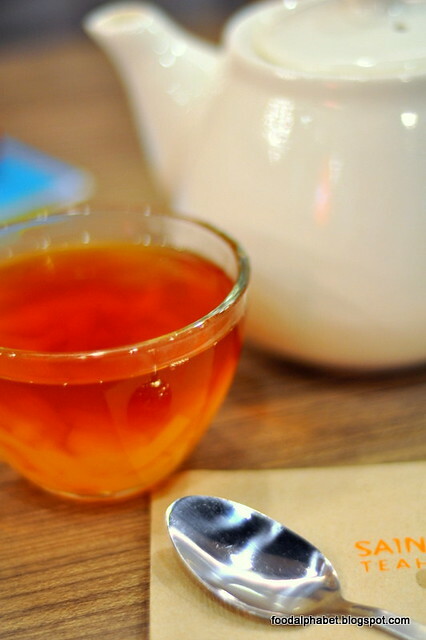 It was truly a fun and delicious time at Saint's Alp Teahouse, honestly thank you for making me feel better. 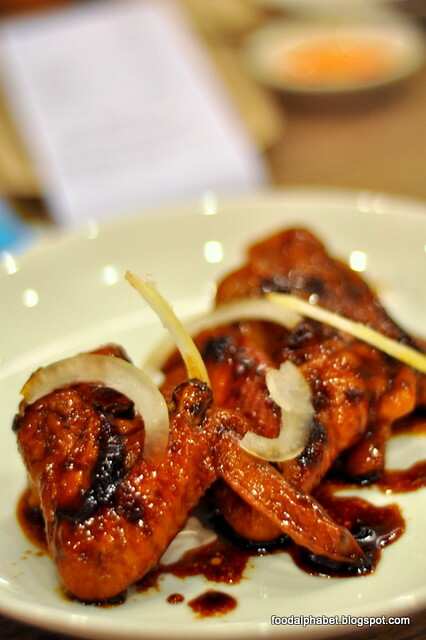 Spend some time with family and friends, and enjoy great food, great drinks and a feel-at-home atmosphere. 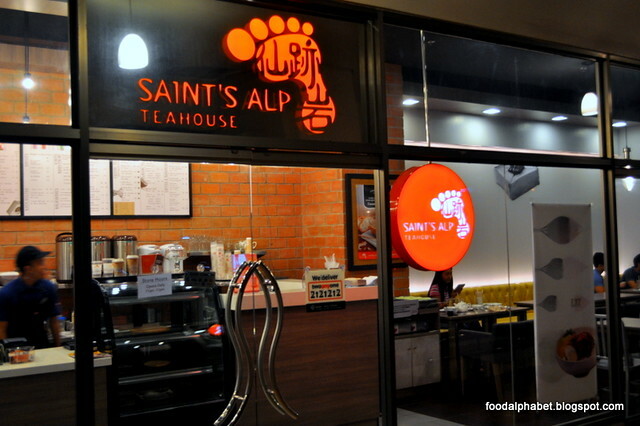 Catch Saint's Alp Teahouse at their other branch as well in Katipunan. Haha try it at least once, diba? That's what life is all about!